We’ve been camping a lot this summer and it’s been nice to completely unplug on the weekends. 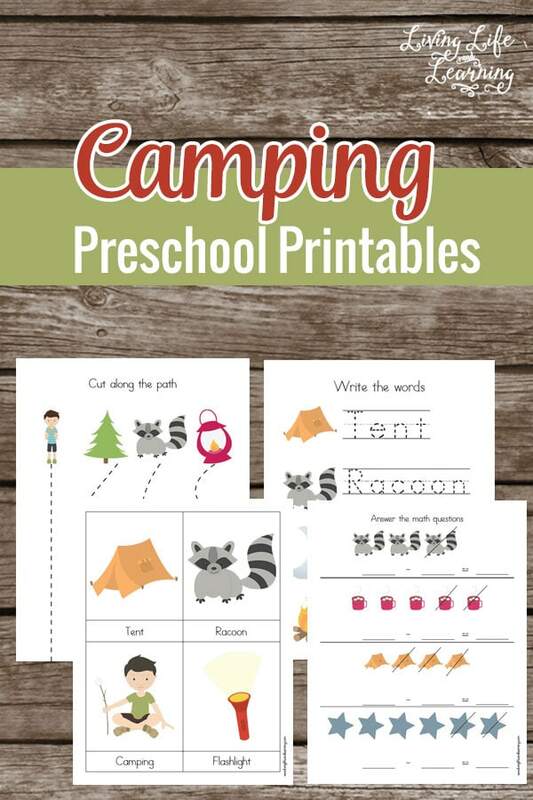 To keep the fun going, you can bring camping into your school with these fun camping preschool printables. We love hanging out around the fire and roasting marshmallows, the best thing is that we’re spending time together away from our devices. It’s so easy to feel tethered to some piece of electronics during the weekday so I’m glad that we’re able to hit pause to take a break from it all. 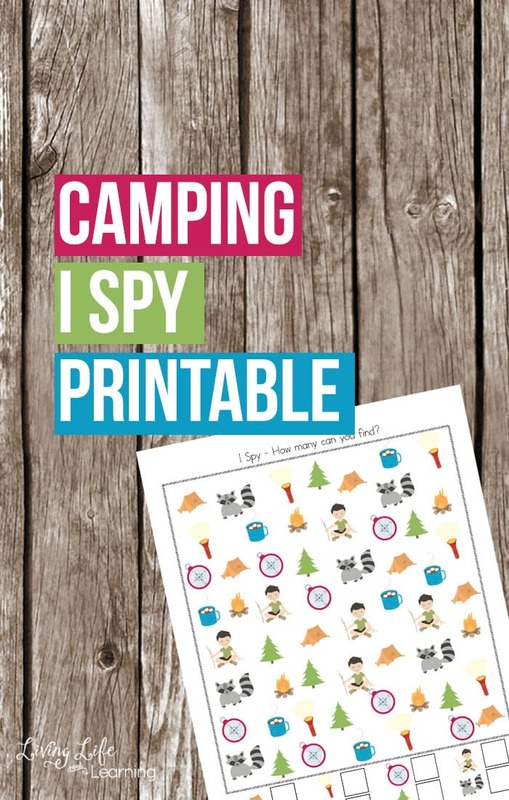 My kids love being outdoors and this camping printable will get your kids excited about their next camping trip whether you’re heading to the camp grounds or sleeping in the backyard. 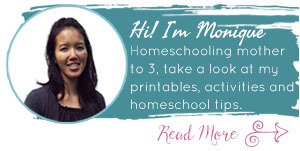 It gives you a nice variety of activities to complete with your child and changes things up for kiddies who don’t like to focus on one activity for too long. To extend this activity, you can read these wonderful camping books to your preschooler, add in some camping crafts and you’ll be golden. Roast some marshmallows in the backyard if you can’t get away to the campgrounds. If you can, have your child plan their trip with you and pack their own supplies. Study the vegetation and wildlife you may run into on your trip. You can also grab my Camping Writing Worksheets at My Joy Filled Life. For more camping ideas, see the amazing posts from these bloggers to create your own camping unit study. We homeschool our son and until I read this article I had no ideas as to what to research for him before our road and camping trip. Now I have a bunch of ideas for projects and work for him that he will enjoy, thank you! Yeah! I’m glad it was helpful.